The organization, which accounts for the investment and deals with registration of fee, deposits, deposit management etc., needs an automation of its work, namely in the implementation of specialized accounting system, by means of which it will be possible to create a well-structured organization. Our organization offers you an investment app and accounting system , with the help of which you will be able to conduct a proper investment management. With the right approach investment control and automation will be much easier and more efficient, because the investment management software has a special role for investments. Our investment management system at the base of its work has an automated accounting and automation of sources of financing long-term investments. The investment accounting system has the opportunity to make an unlimited number of clients and investors. 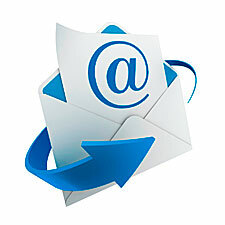 You can add any information about your customers, whether contact details, address, accounts and any other notes. You can implement a simple search in your database. In the software for financial investment management you can filter by name, e-mail, telephone number and other details. In addition, various accountings can be kept in the investment software. For example, the investment accounting on the concluded agreements with various conditions of investments. Currencies can be specified in the contract. You can also attach related files of any format to a contract or to a specific client. In the investment apps, a file can be attached as a link to that file on the local computer or sever, or it can be uploaded directly to the database and in this case, that file can be opened at any time, if a computer has an appropriate program. The investment accounting software will also suit the organization that is based on any system of deposits, which must ensure the integration of investments, as well as keeping long-term investments and thus produce a fine-grained control of investments. In the personal investment software with the help of special reports, it is possible to calculate automatically the amount of charges for each investor based on capitalization or without it. In addition, you can calculate the periods and the amounts for the payments to investors. Our investment management program allows you to make an accounting of all payments under the contracts and keeping the remaining debt, that is, it keeps a track of the debt for each contract, on the basis of which it can form a register of contracts for the payment of any date. All amounts received can be converted into the national currency. The investment tracking software has a special consolidated financial statements which give a general picture of the activities of the organization, which conducts capital and investment management, and it will show the total amounts of revenue for any reporting period, also will show the overall amounts paid under the contracts, and, for clarity, built performance graphics. The financial investment software allows you not only to organize a convenient and effective accounting in the organization, but also to create a certain prestige, which will show the level of organization in the eyes of customers. The software for investment management has a unified investor base. The software for investment accounting keeps an accounting of each contract and investor. Keeping of contact information and necessary details in the investment app. It is possible to attach any file to the contract in the investments apps. Investment software includes an automatic calculation of accruals. Calculation in the investment app based on a capitalization of earning power or accrued payable. Investment management software includes the registration of all payments. The investment apps keep a record of cash and non-cash payments. Accounting of long-term and short-term investments. Сontrol of deposits. Creating a list of amounts payable to investors on any reporting date. It is possible to download a free demo-version of the investment tracking software. The accounting of individuals' deposits. Accounting of sources of financing on long-term investments. An analysis of financial investments and payments on contracts. The investment app supports the presentation in the form of graphs. The personal investment software contains a detailed audit of the actions of all users. Investment software has user access control to different software modules. Investment accounting software has plenty of additional functions.